New York – The National Institute for Reproductive Health (NIRH) today released the Local Reproductive Freedom Index, a first-of-its-kind initiative to evaluate the reproductive health, rights and justice policies of the most populous 40 U.S. cities. 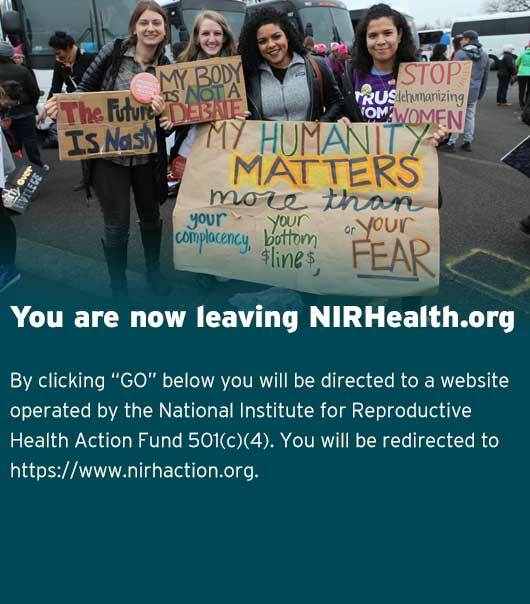 Through the Local Index, NIRH calls upon cities to advance and protect reproductive freedoms in light of the constant threat from state and federal governments. Since President Trump was inaugurated in January, women have witnessed the roll back of the Affordable Care Act’s birth control insurance coverage mandate, the pursuit to dismantle access to affordable health care and the President’s dogged commitment to overturn Roe v. Wade the first chance he gets — a commitment made evident in his appointment of anti-choice Neil Gorsuch to the Supreme Court. Already, states are continuing the trend of imposing record numbers of anti-abortion laws and shutting down clinics. Using 37 unique policy indicators, the Local Reproductive Freedom Index calculates how individual cities are protecting and advancing reproductive freedom across a range of categories including access to abortion clinics, funding and coverage for reproductive health care, support for young people and families and advancement of inclusive policies for all people. The Local Index shows that cities already serve as a counterweight to the Trump administration’s assault on individual freedoms, bodily autonomy, and reproductive health care: 21 cities have made advances in undocumented peoples’ access to reproductive health care, and in the wake of increased anti-abortion rhetoric and protests, eight cities have implemented policies to protect access to abortion clinics. Striking back against Congress’s repeated attacks on reproductive freedom, nine cities have passed progressive measures urging Congress to act on federal policy solutions, such as repealing the Hyde Amendment and similar bans. Cities are also improving upon sexual and reproductive health care for residents: 31 cities have made advancements in providing funding for sexually transmitted infections, and 17 cities implement some form of comprehensive sexuality education in public schools. Of the 40 U.S. cities analyzed in the Index, San Francisco was found to be best equipped to protect and advance reproductive freedom for its residents. San Francisco is followed closely by New York City, Chicago, Los Angeles, Seattle and Philadelphia. Less financially advantaged cities – such as Baltimore, Detroit, and Columbus, OH also implemented innovative strategies to advance reproductive freedom. Advocates, policymakers and citizens can visit localrepro.org to see how their cities fair and to learn about specific actions they can take to make change in their communities. NIRH has a proven track record of successful advocacy at the local level to fight for reproductive freedom, having long worked with on-the-ground partners to change public policy, galvanize public support and normalize women’s decisions about abortion and contraception. Since first partnering with New York City Mayor Michael Bloomberg to launch the Urban Initiative for Reproductive Health in 2008, NIRH has provided more than a million dollars in funding to 58 organizations across 50 cities and sustained a network connecting hundreds of advocates, elected leaders and public health officials nationwide. Miller today will begin a two-week tour of four cities including San Francisco, Boston, Detroit and St. Louis. She’ll meet with advocates, partners, community member and lawmakers alike for conversations around the importance of city leadership when it comes to ensuring residents’ reproductive freedoms, and to learn more about what those cities need to succeed.